Finally, my choice has fallen on HP c8180. At this moment, openprinting.org, the source for Linux printer support information, does not list this model (it’s quite new). 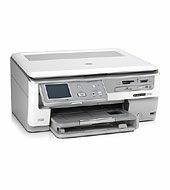 But having configured it as “HP C8100 series” in Ubuntu 9.10, both printing and scanning work just fine right out of the box without any additional installations or configurations.